The mission of preserving and protecting Wyoming’s agricultural lands and open spaces from invasive species and pests is steeped in tradition. 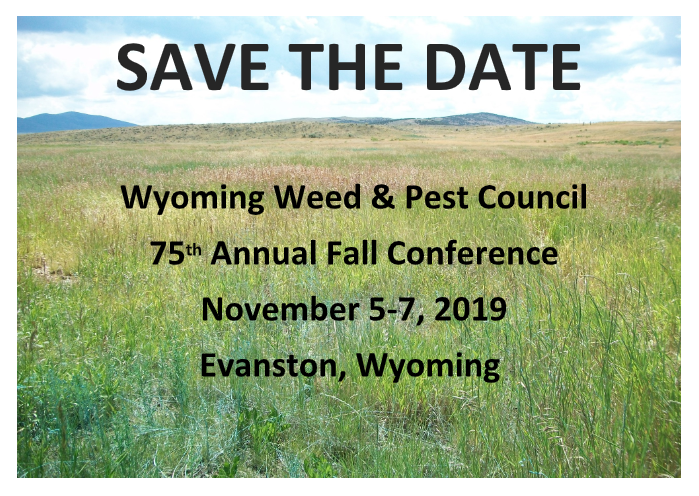 The annual conference of the WY Weed and Pest Council, taking place for over 70 years, is the opportunity for the 23 Districts to conduct Council business and to provide high quality continuing education opportunities for those working in the field. All are welcome.